Customers depend on the ability to conduct business from anywhere, anytime, utilizing hand held devices for voice, email, collaborations, sharing documents and more. This is made possible by various technologies and strategies to improve communication methods, reduce response times, and lower operational expenses. Wireless networks and access to the Cloud play a major role in business mobility. 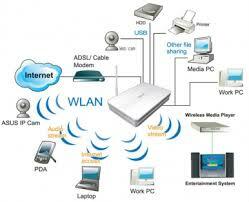 We design, implement, operate, and maintain enterprise grade, secure wireless networks. And we provide a platform to utilize the benefits of the Cloud to operate your business.